Talismanic symbols of the Canadian game, signature par threes often reflect not just the character of golf at a particular course, but of an entire region of the country. 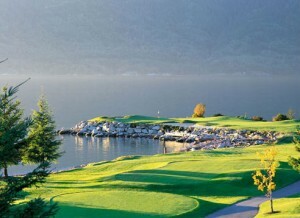 For some, the 211-yard 14th hole that thrusts into the mist of Howe Sound at British Columbia’s Furry Creek Golf and Country Club is West Coast golf at its most breathtaking. Not far from Regina, the 176-yard second hole of the Deer Valley Golf and Estates course offers an unforgettable vista of valley dunes and stands of aspen against an endless prairie sky. And from the moment of its unveiling in 2000, the short downhill 12th hole at Algonquin Golf Course in New Brunswick’s St. Andrews-by-the-Sea, with its sweeping view across Passamaquoddy Bay to the state of Maine, became one of the East Coast’s most photographed holes. As with so many other aspects of Canadian golf course design, Stanley Thompson set the standard for par threes. 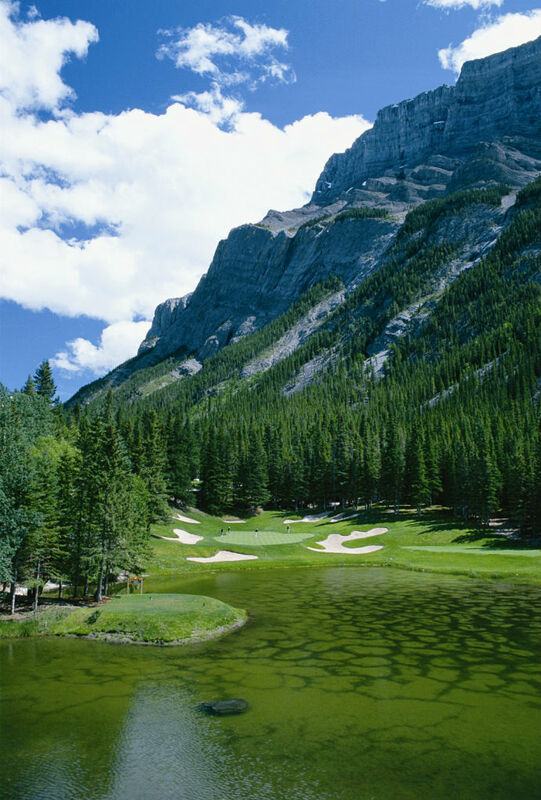 He is admired for many of his short holes, but most of all for the Banff Springs Golf Course’s legendary Devil’s Cauldron. 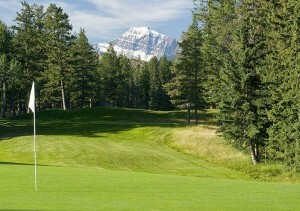 From an elevated tee, golfers hit over an impossibly picturesque glacial lake to a small sloping and heavily bunkered green set in the shadow of Mount Rundle. Thompson, together with such other towering architects from golf’s past asDonald Ross, Alister Mackenzie andRobert Trent Jones, established a blueprint for par threes largely followed to this day. Always they strove for an entertaining mix in their layouts, each par three ideally requiring the golfer to use a different club, as well as to confront an entirely new challenge. Hole lengths varied from long to short to medium, and the ideal routing placed the par threes in different directions so that players had to factor in the wind’s direction. On the drawing board of a talented architect, even the shortest hole can be stiffened to challenge any golfer. 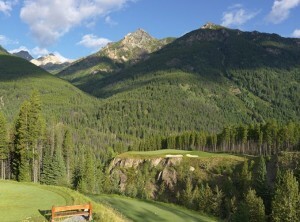 Of all Canada’s shorter par threes, architects agree that one of the best is Stanley Thompson’s Bad Baby, the 15th hole at Jasper Park Lodge Golf Course. Playing 138 yards from the tips, Bad Baby features a 14-yard-wide green situated atop a steep-sided mound with bunkers to the left. Miss the green and a scorecard disaster often results. Of course, nothing stiffens the playability of a par three — or any hole — like a well-positioned water hazard. Architects reworking a flat or otherwise uninteresting landscape often use them to inject the essential element of drama into the setting. The key to designing par threes that incorporate water is the careful positioning of tee blocks to ensure that no golfer is ever asked to hit a shot that he can’t possibly hope to accomplish.